Situated in the Uptown/Garden District area of New Orleans, Maison Perrier is a casually elegant reminder of times gone by. 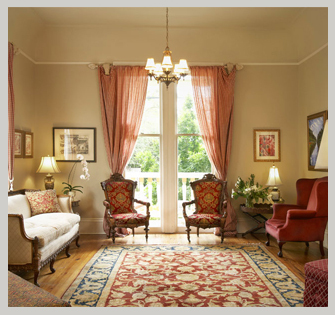 Ornamental woodwork, wonderful antiques, delicate chandeliers, and of course, Southern hospitality welcome you to our Bed and Breakfast. Maison Perrier is the perfect spot for romantic getaways, company retreats, family gatherings, pleasure travelers, or professionals on business trips. 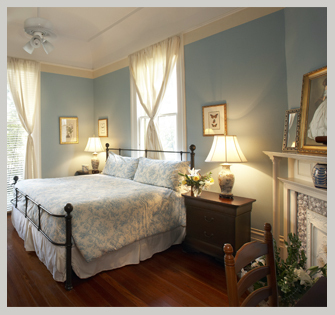 Our inn offers all modern amenities and comforts, while providing visitors with a truly authentic New Orleans experience. Maison Perrier is ideally located in one of the oldest, safest neighborhoods in the city, within walking distance of many of the very best restaurants, and just a few of blocks away from the St. Charles streetcar line. For travelers seeking historic charm, convenience, quiet tranquility, and a good night’s rest, please look no further. Explore our common rooms and the various amenities of Maison Perrier. View current images and obtain accommodation details for each of our guestrooms. 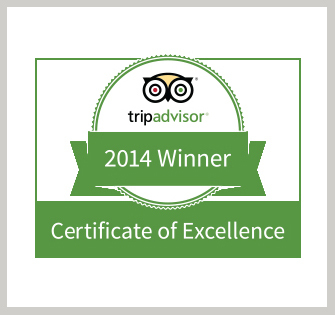 We’ve been recipients of TripAdvisor’s Certificate of Excellence 4 years in a row. Click on the image to read our reviews.